Various sporadic reports from both DigitalPoint Forums and WebmasterWorld that Google's Webmaster Central Link Tool is temporarily offline. 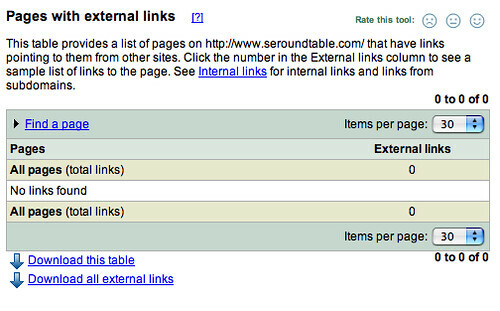 I believe Google is doing an update of your links in that tool. When I logged in yesterday, it was up, even though some reported it as down. And I noticed my link count went up about 70,000 links or so. But I have yet to analyze the data and bring it to you. I will. As of right now, the tool is still down. Update 8:15am: Now it is back up but shows me zero links. Previous story: Google Stumbles With "Queryless Search"